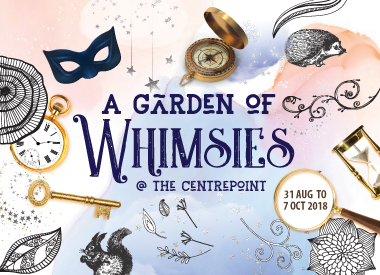 From 31 August to 7 October 2018, set imaginations alight with an array of fun stuff for all at The Centrepoint! *inclusive of a min. $20 spent at a kids-related or F&B retailer. Receive a $10 digital gift card* and a $10 retail voucher^ redeemable at Customer Service when you spend a minimum of $100 and scan your Frasers Rewards QR code at participating stores. Update: The $10 digital gift cards have been fully redeemed. *Limited to the first 4,000 Frasers Rewards members. ^Limited to the first 2,000 Frasers Rewards members. Grab yourself an exclusive Warner TV Gotham City umbrella with a minimum spend of $180*. Update: The Warner TV Gotham City umbrellas have been fully redeemed. *Limited to 1 redemption per Frasers Rewards member per day on a first-come, first-served basis and while stocks last. Receive a $10 digital gift card when you make a reservation and dine at participating restaurants at The Centrepoint through Chope. Browse a marketplace like no other with an exciting array of bespoke and handmade items for kids on sale, fun workshops, free cotton candy and balloons for all! Do you have what it takes to get out of Warner TV's escape rooms which are themed after your favourite shows such as The Big Bang Theory, Gotham and Lethal Weapon? Take up the challenge to score exclusive Warner TV gifts! Bond with your loved ones and learn something new with our array of wellness workshops at The Centrepoint. Simply spend a minimum of $30 to participate. Limited to 20 participants per session. Create a piggy bank cardboard craft and bring it home as a memento at this fun and engaging workshop! Simply spend a minimum of $20 to participate. Limited to the first 4,000 redemptions for $10 digital gift card and 2,000 redemptions for $10 retail voucher. Present your Frasers Rewards QR code in the Frasers Rewards app in person on the day of purchase at Customer Service Counter to redeem the $10 digital gift card and $10 retail voucher. In the absence of your Frasers Rewards QR code, you may present your NRIC / FIN. The management of The Centrepoint reserves the right to verify original receipts and purchases before granting redemption. 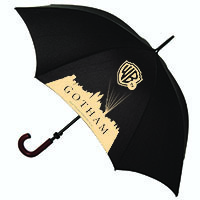 Limited to the first 2,500 redemptions for Warner TV Gotham City Umbrella. Present your Frasers Rewards QR code in Frasers Rewards app in person on the day of purchase at Customer Service Counter to redeem a Warner TV Gotham City Umbrella. In the absence of your Frasers Rewards QR code, you may present your NRIC / FIN. Limited to the first 50 redemptions per participating restaurant. Present your Frasers Rewards QR code in Frasers Rewards app in person on the day of purchase at Customer Service Counter to redeem a $10 digital gift card. In the absence of your Frasers Rewards QR code, you may present your NRIC / FIN. The management of The Centrepoint reserves the right to verify original receipts and purchases and proof of reservation (via Chope) before granting redemption. Limited to a single parking coupon per Frasers Rewards member per weekday (including Public Holiday) regardless of total amount spent. Maximum of 5 same-day, same-mall transactions. Present your Frasers Rewards QR code in the Frasers Rewards app and original receipt(s) to verify transaction details scanned to the same account in Frasers Rewards app in person on the day of purchase at Customer Service Counter to redeem free weekday parking for first hour. In the absence of your Frasers Rewards QR code, you may present your NRIC / FIN. Limited to the first 50 Frasers Rewards members per weekday. 4. All instant rewards ($10 digital gift card, $10 retail voucher, Warner TV Gotham City Umbrella and first hour free parking) are available on a first-come-first-served basis and while stocks last. All instant rewards must be taken as they are and are not exchangeable for cash or in kind. 6. The Management of The Centrepoint reserves the right to sight all purchases before granting redemption. 1. In the event of any dispute, decisions made by The Centrepoint will be final and no correspondence will be entertained. 2. Information is correct at the time of publishing. The Management of The Centrepoint reserves the right to change the Terms and Conditions as it deems fit without prior notice.